“Men are wearing their hair longer and women are going shorter,” said Laurent. Qualifying this comment, he explained that it’s usually young men who are opting for longer locks, perhaps over the tops of their shoulders. Older men and men working in conservative businesses are keeping their short hairstyles. But with women, it’s both the young (under 35) and the older (over 50) women who are now choosing extremely short-cropped hair. “They like short hair because it’s practical. 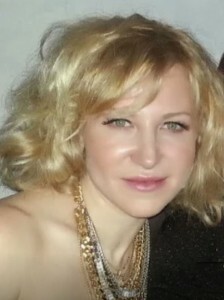 Short hair is so easy to take care of but it can still be quite sophisticated. At the same time, women also want to maintain a feminine look. “Also, fewer women are coloring their hair these days,” he added. Laurent then commented on the new trend in salons. The trend of inexpensive salons crowded with customers is dwindling, he explained. “Semi-private shops are becoming more popular and more numerous. With just four or five clients here at a time, we can maintain an intimate atmosphere,” he said. The semi-private salon is perfect for the client who wants to receive grooming in a calm, comfortable setting with just a few people present. This permits agreeable conversations and networking during the visit if that is desired. 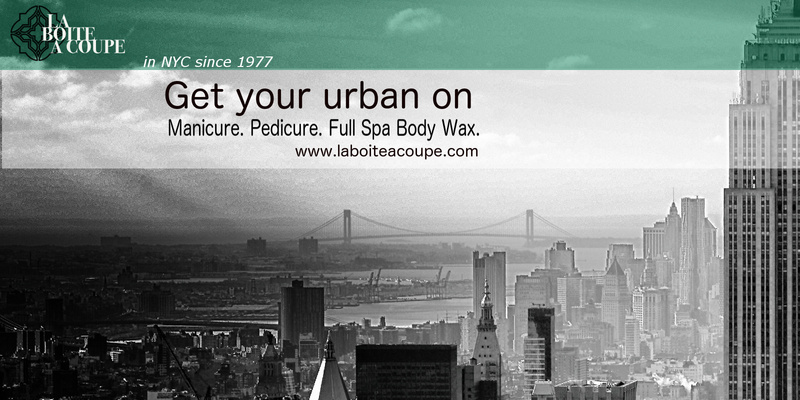 La Boîte a Coupe can also accommodate the client who prefers privacy during their salon services. “Some people don’t wish to be exposed to view while receiving manicures, pedicures, coloring or cuts and we want to make their experience perfect,” he said. 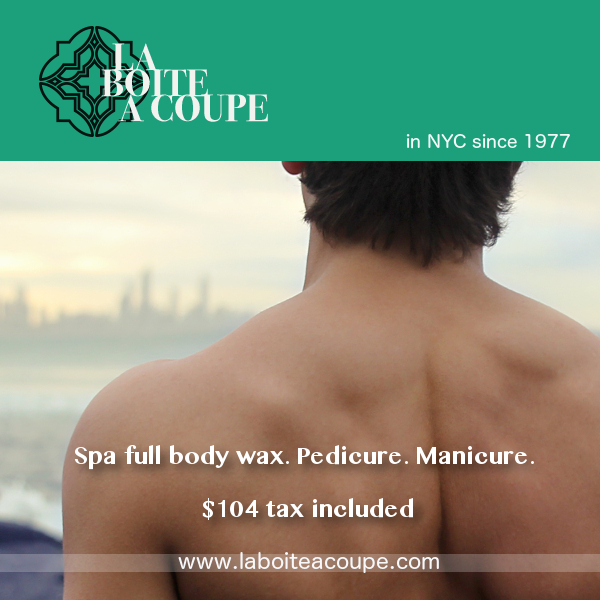 Private rooms at La Boîte a Coupe are available on request when scheduling an appointment. When people visit their stylists, sometimes they say they know what they want. Sometimes they want advice. “Some people bring me a picture,” said Laurent. “I’m not afraid to tell them if it is wrong for them. The key is to make the cut work with the texture, the person’s physique and his (or her) overall appearance. “If it is done well, you will never have a problem with it,” he added. “Some people like to be in vogue,” said Laurent. For example, clients may ask for an intentionally messy style because that’s a new trend they’ve seen. “When a person wants a cut that is the current style, that doesn’t mean it is good for them. If it’s not, I won’t do it.” With that insistence on the right style and a great cut for every client, Laurent has built his reputation for excellent service. Laurent absorbs these influences. “It’s hard to describe how this happens. It’s feeling what is around you. It’s being able to separate the vulgar and the terrible from something that is done well.” And then in his salon, he and his clients can start a whole new trend of their own. “A good haircut, it makes a person,” he concluded. So you can get the same styling results at home as at La Boite a Coupe, Laurent offers a 20% discount on purchases of three of his styling products. Shipping within New York State is free. Choose from A Hairdresser’s Gomme, the most versatile styling gel on the market, Shampoo E for everyday use, Eva Leave-in Conditioner for weightless conditioning or chose from the six other products featured on the website. To see the products, visit http://laboiteacoupe.com/shop. Then call the salon at 212-246-2097 and mention the discount for your savings. When Laurent talks about chamomile and apple cider vinegar, he’s not talking about lunch. He’s talking about natural therapy for hair and skin. “Many of my clients shampoo their hair too often,” he said. “It’s not healthy to wash it every day because it will dry out your hair and strip away too much of your natural oils.” When the natural oils of your hair are removed too thoroughly, hair becomes dry and brittle. Your scalp can become dry and irritated and hair may break off. That brings us to the apple cider vinegar. Apple cider vinegar will correct the pH of your hair and skin, leaving them healthier. Hair will be shinier and easier to handle. “You probably won’t have to wash it for two days,” he said. Laurent’s advice: Use apple cider vinegar during the last rinse of your hair. Mix the vinegar half and half with water and pour it over your hair. If you’re in the shower, let the mixture run over your body as well. Rinse your hair and/or body quickly after you pour the vinegar mixture over it. He even advised the use of eggs on hair. “Use the yolk as a shampoo. It’s a good conditioner and can be used all the time. The pure proteins are very good to provide balance for the hair.” He recommended not using hot water when putting egg on the hair as it would cook the egg and make it go solid. Sometimes, the best therapies for skin and hair are the simplest and most traditional! Laurent really needs no introduction. If you’ve ever been to his salon, La Boîte a Coupe, you’ve most likely noticed Laurent in the midst of the friendly, welcoming world he has created. Laurent began studying this trade as a young man of 14 in Paris. He had a choice of going to yeshiva to perhaps become a rabbi, or apprenticing to a trade. HIs uncle took him to the best salon in Paris where he began helping out, running errands and cleaning. At the same time, he continued his schooling. Although he was shy when he first arrived, he adjusted to this new environment and began to learn how to style hair. He quickly took to this trade and developed his own flair for styling. After just two years as an apprentice, he could style hair on a par with any of the other stylists. From Paris, Laurent transferred his talents to New York City. Forty years later, Laurent has attracted a team of stylists and staff that make everyone feel welcome. Clients feel more like family and wouldn’t think of letting any one else touch their hair unless they were stranded out of state or out of the country. 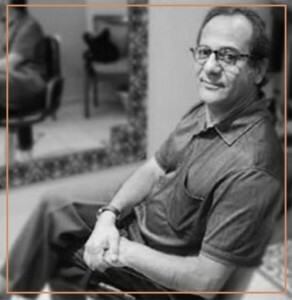 From fathers to sons, the tradition of relying on Laurent not just for hairstyling but also for advice on style and fashion continues. Helping him create this relaxing and welcoming atmosphere are Renata, a stylist at the salon for more than 20 years, and Eva, Laurent’s daughter and manager of La Boîte a Coupe. Together, all the staff at La Boîte a Coupe are committed to maintaining this agreeable island of style and friendship in the heart of Manhattan. Renata has been a treasured part of La Boîte à Coupe for more than twenty years. Renata came from Moldova where hairdressers were not highly respected and her parents wanted her to be a teacher. So she became certified as an educator and taught elementary school. She never forgot her love of styling hair and when she came to America in her early twenties, she quickly gravitated to Laurent’s salon. About their first interview, Laurent said, “I could see that she wanted to be there very much.” With her passion and hard work, she was soon creating magic for Manhattanites of all ages. Gomme -Super Goop to keep unruly hair in place! Cristalli Liquidi Illuminating Serum For all hair types! Akilene Regenerating foot cream for dry cracked feet. Sothys Homme age defying hydrating fluid for face and neck. All products are for sale on our website so check them out! I am going to give all the men out there a few tips to keep you looking sharp! Don’t shampoo your hair more than twice a week and to get rid of that oily smell you can use white vinegar. You can also avoid conditioning unless your hair is super dry.